The Grand Marshals will lead the annual Parade of Champions Saturday night (March 9) before the championship bouts of the 40th annual Illinois Elementary School Association (IESA) State Final Wrestling Tournament. The IESA started having Grand Marshals in 1996. The Grand Marshals are honored for their contributions to interscholastic wrestling and the young men who participate in the sport. They are nominated by the IESA Wrestling Advisory Committee and approved by the IESA Board of Directors. The marshals will play an integral role of the Parade of Champions as they will lead the 76 individual finalists and their coaches into the Convocation Center, amidst music, applause and cheers from teammates, parents, family, and fans. A graduate of Grayslake Community High School, Jim Troemel has been involved with wrestling for over 40 years. From his days as a varsity wrestler at Grayslake at the 145 and 155 lb. weight classes, to his coaching days at his alma mater and then ending his coaching career at Lake Forest Deer Path, Jim has been an advocate for the great sport of wrestling throughout it all. After graduation from Northern Illinois University, Jim served as the assistant wrestling coach at Grayslake High School from 1982-1987. He became the head coach for Deer Path in 1991 and served in that capacity until last year and now serves as an assistant coach for the school. During his time at Deer Path, Jim amassed 345 dual meet victories, 17 state placers, 1 runner-up finish and 2 IESA state champions. His teams won 6 regional championships and 4 sectional championships. He also served as the tournament manager for numerous IESA state series contests and served a term on the IESA Wrestling Advisory Committee. In 2000, assisted coaching Team Illinois in the Middle School National Duals. Jim and his wife Cathy have been married for 38 years and together they have 3 daughters and one son along with 5 grandchildren. Tom Unruh has been instrumental in the development of the Erie/Prophetstown wrestling program and their participation in the IESA state series program. His fondness and love for the sport of wrestling started way back in 3rd grade when he wrestled for West Chicago under the legendary head coach Fred Dexter. 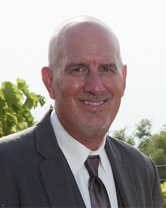 Tom attended both West Chicago High School and Moline High School where he participated in wrestling, football and was a pole vaulter on the track team. Tom attended and wrestled for Black Hawk College and Western Illinois University where he was a National Qualifier. After graduating from Western, Tom was a teacher and coach at Dakota Jr./Sr. High School. He was the Head Wrestling Coach for Dakota High School from 1987-1996. His teams won4 regional championships, his 1989 team placed 4th in the IHSA finals and his 1994 team placed 2nd. He was named the IWCOA Coach of the Year in 1994. In 2009 he became head coach for Erie Middle School and has had one state champion with numerous qualifiers and place winners. Tom recently completed a term on the IESA Wrestling Advisory Committee. 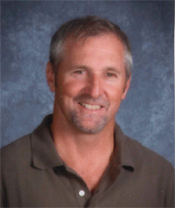 In addition to his wrestling coaching duties, Tom serves as the head judge for the pole vault event at the IESA state track meet each spring. In 2018, Tom coached the 7th grade, 8th grade and IHSA state pole vault champions. Tom and his wife Jan have been married for 32 years and they have two daughters.